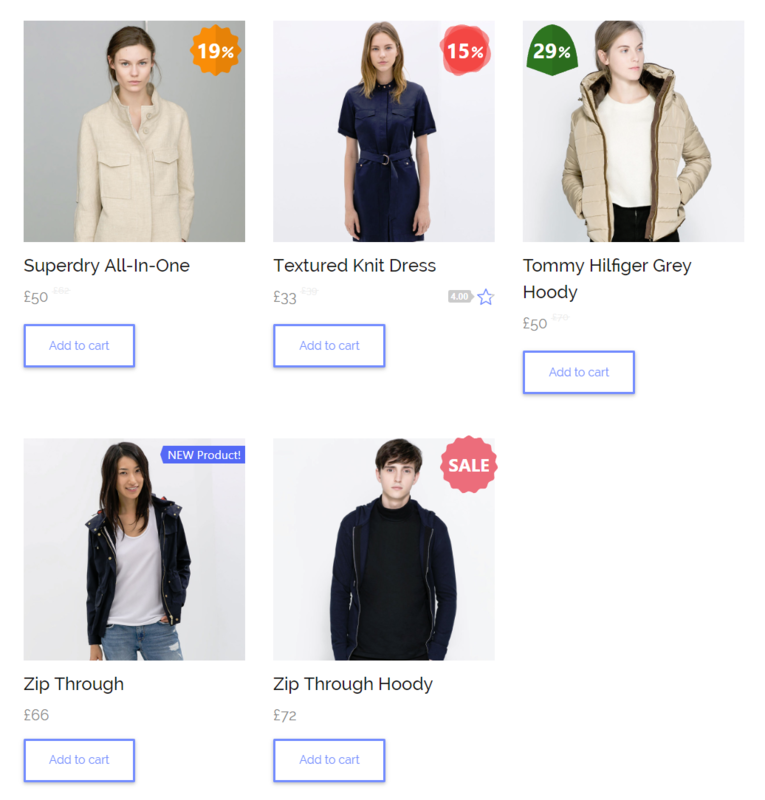 Improved Sale Badges for WooCommerce is a plugin that will transform your default WooCommerce sale badges into something that your customers can relate to and that will grab their attention instantly. Change the style according to your current collection, season or holiday using the awesome presets included in the plugin. 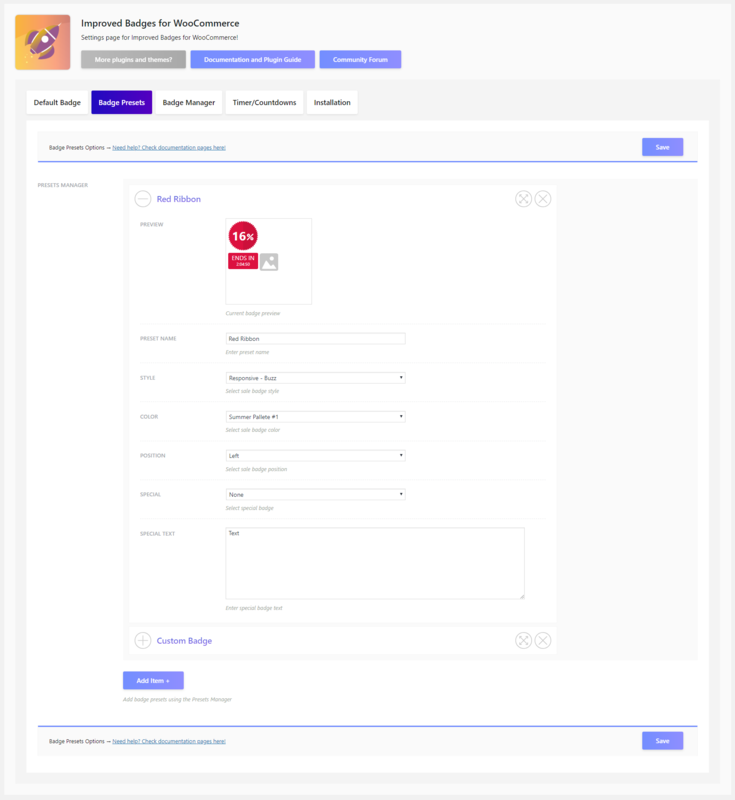 The plugin seamlessly integrates itself into the WooCommerce interface. Find the settings on the WooCommerce > Settings > Sale Badges page of your WordPress Dashboard. After a quick set-up your shop will automatically show your new sale badges with the discounts in many designs. Show discounts in percentage or money saved, use custom presets and colors, change your badges on the fly and even enable a countdown timer until the sale period ends! You can even set a different sale badge for each product individually! Unlimited combinations! 3 Special badges are also included to which you can add your own custom text! ! Check the demo page at this link. WooCommerce 3.x.x+ Ready! 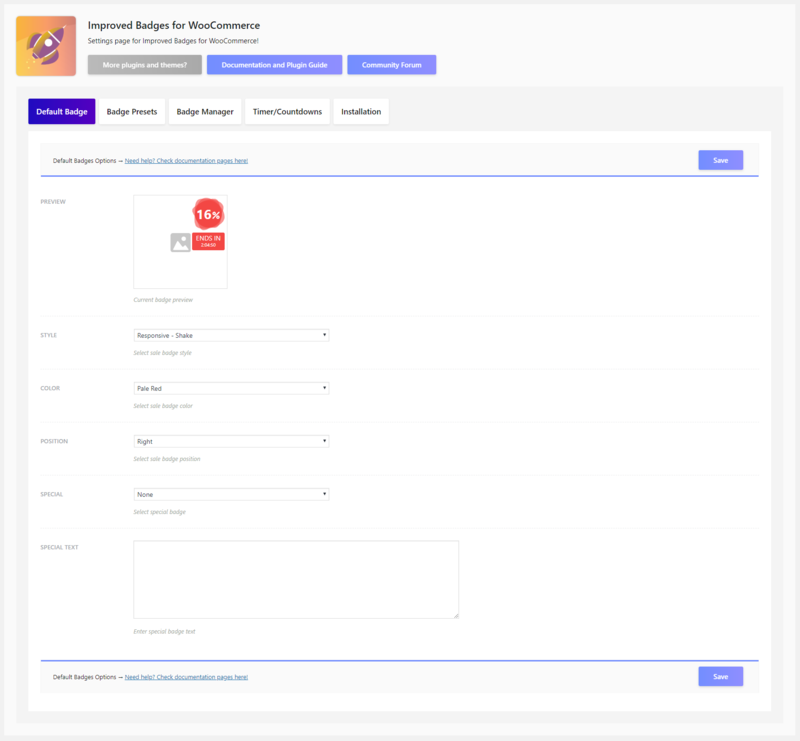 + Improved Badges for WooCommerce 3.3.1 - 24. January 2019. + Improved Badges for WooCommerce 3.3.0 - 20. November 2018. + Improved Badges for WooCommerce 3.2.3 - 2. November 2018. 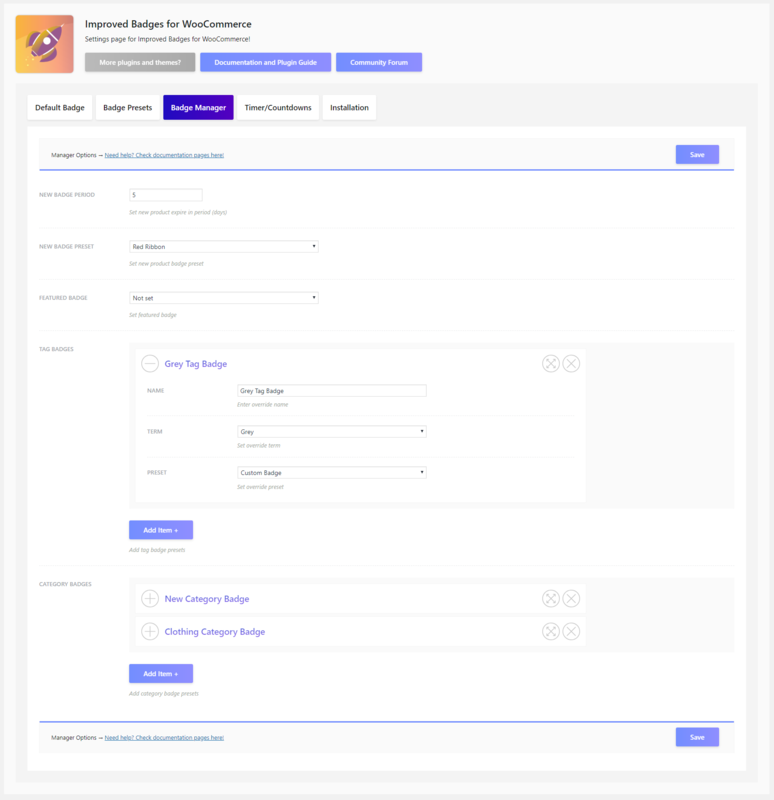 + Improved Badges for WooCommerce 3.2.2 - 25. October 2018. + Improved Sale Badges for WooCommerce 3.2.1 - 21. September 2018. 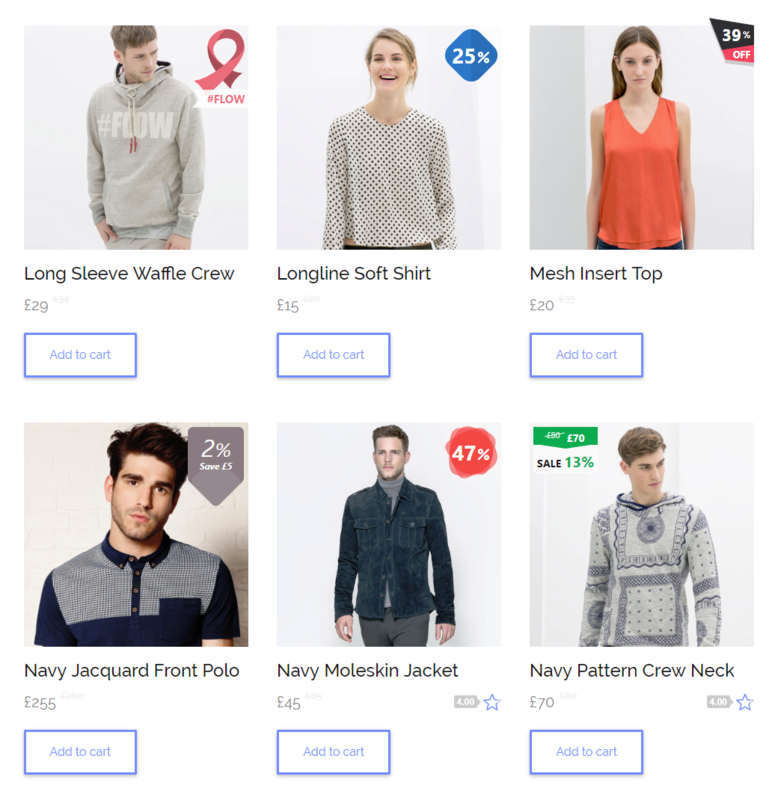 + Improved Sale Badges for WooCommerce 3.2.0 - 10. August 2018. + Improved Sale Badges for WooCommerce 3.1.2 - 24. May 2018. + Improved Sale Badges for WooCommerce 3.1.1 - 5. May 2018. 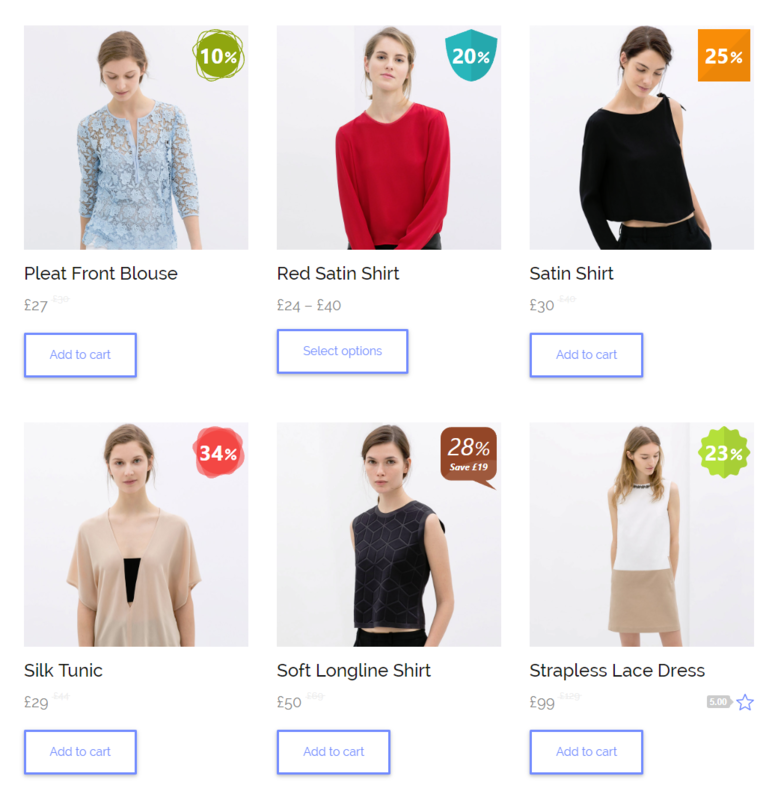 + Improved Sale Badges for WooCommerce 3.1.0 - 21. April 2018. 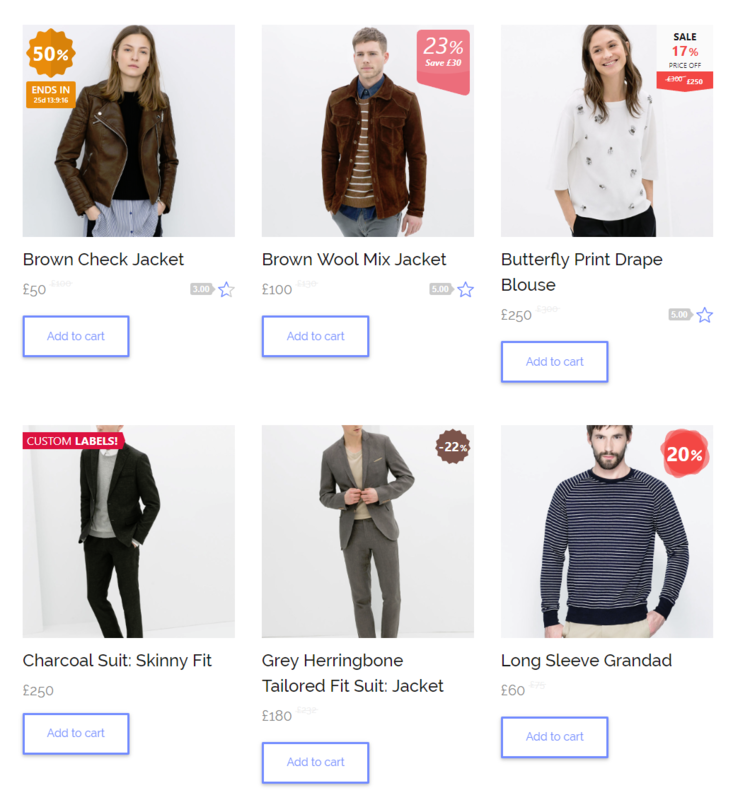 + Improved Sale Badges for WooCommerce 3.0.2 - 31. March 2018. + Improved Sale Badges for WooCommerce 3.0.1 - 18. March 2018. - added [ib_badge] shortcode! insert a badge anywhere! + Improved Sale Badges for WooCommerce 3.0.0 - 9. January 2018. 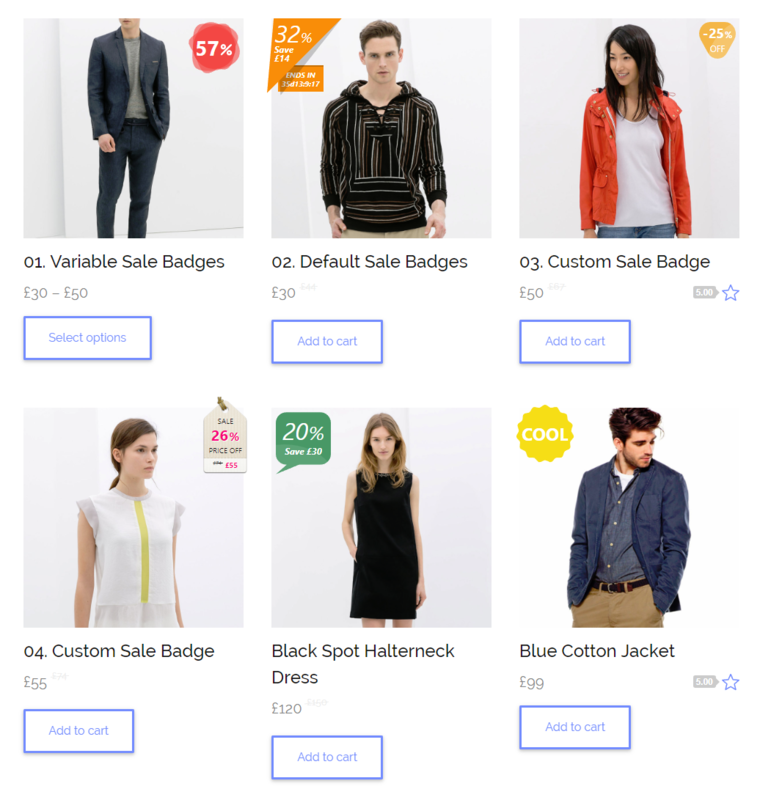 + Improved Sale Badges for WooCommerce 2.5.3 - 20. December 2017. + Improved Sale Badges for WooCommerce 2.5.2 - 21. November 2017. + Improved Sale Badges for WooCommerce 2.5.1 - 17. August 2017. + Improved Sale Badges for WooCommerce 2.5.0 - 20. June 2017. - added sale badge presets, save, load and assign badges as presets! + Improved Sale Badges for WooCommerce 2.4.2 - 9. April 2017. + Improved Sale Badges for WooCommerce 2.4.0 - 13. June 2016. - added automatic updates! enter your purchase code to get automatic updates! - added 7 new sale badge styles including transparent, transparent #2, random squares, fresh #2, valentine, cool and triangle! - added 1 new special badge style! ribbon!